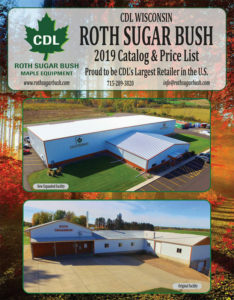 Thank you to everyone who stopped at our CDL Roth Sugar Bush Booth at the show in Wausau, WI. We have a few pictures from the show. 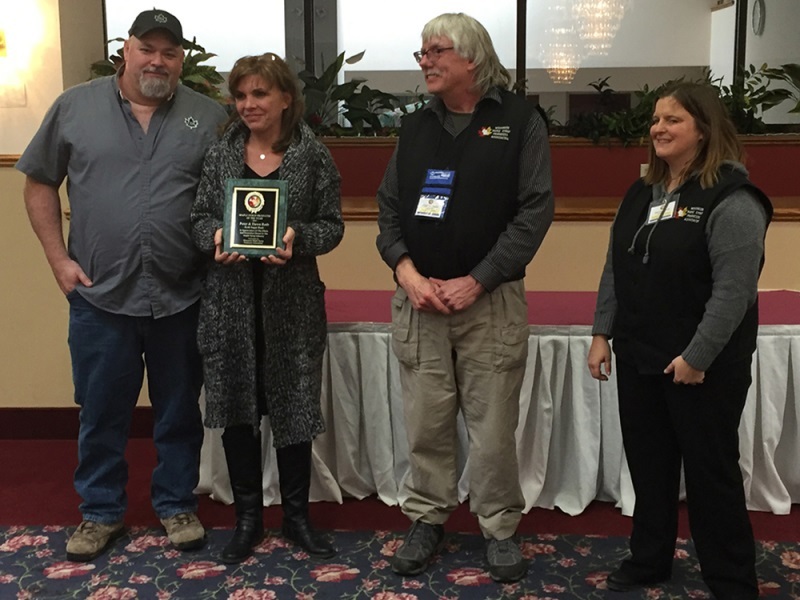 At the award ceremony after lunch, Pete & Dawn Roth were recognized as the 2015 Maple Producer of the Year! Congratulations go out to them for a very well deserved award! Looking back through the years….Pete Roth was raised in a box in the corner of “John & Pat Roth’s Sugar House” in the spring of the year where they spent many hours collecting and boiling down sap to produce pure maple syrup. He met Dawn, his wife of 31 years, while he was in high school and the couple began sugaring with his mom and dad. Pete & Dawn decided to purchase the Sugarhouse and the equipment business from his parents in 1995. They decided to focus their efforts on growing the equipment side of the business, while still managing the tree tapping and syrup side as well. As the business continued to grow they hired their son in law, Kellen O’Connell in 2009 and their daughter Samantha (Roth) O’Connell in 2011. With the continued growth, the original sugar house that they were located in was rapidly becoming too small. In 2012 they purchased a building site in Cadott’s Industrial Park with plans to build a full service maple equipment dealership. In 2013 they added an outside sales person, Jim Adamski, to cover the sales area that they were assigned. In January of 2014 the couple opened the new full service facility with the largest inventory of Maple Equipment in the Midwest. 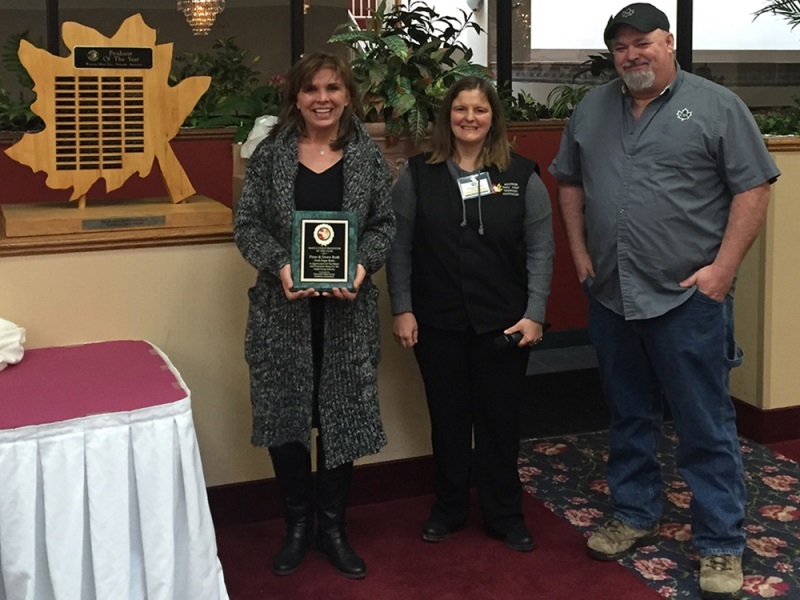 In 2015 Pete & Dawn purchased the maple equipment portion of Anderson’s Maple Syrup and opened a retail location in Luck Wisconsin, Morley’s Maple Syrup. Pete & Dawn still operates the sugarhouse that his parents set up in 1974 and process sap from approximately 20,000 taps.